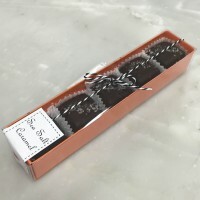 Scrumptious bite size craft caramels perfect for sharing... or not. 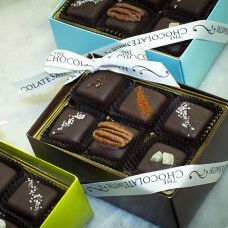 These bright & buttery squares have everything your sweet & savory taste buds desire. 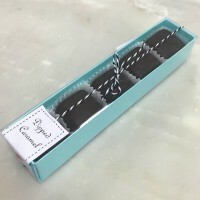 Each 12 piece box contains an assortment of our Lemon Thyme, Sea Salt, Chocolate Crème, Spicy PB &C (peanut butter & chile), & Don Juan Pecan Caramels. Approximately. 9 oz.